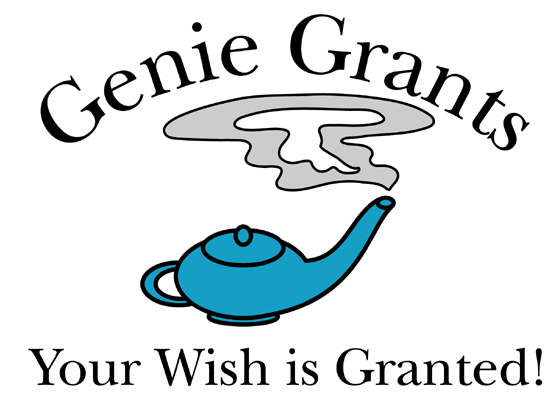 Genie Grants is a grant writing consulting service. We help organizations raise funds from private and corporate foundations and the government for projects and programs that benefit our communities. Genie Grants was founded in 2009 by Michelle Lieberman. Michelle is the principal consultant at Genie Grants, and she has over 12 years of experience fundraising for nonprofit organizations. Do we have to be a nonprofit to apply for a grant? Most grants are only available to nonprofits, i.e. those with 501(c)(3) status or projects that are fiscally sponsored by a nonprofit. Grants are also available to schools, religious institutions, and other social organizations. Grants for individuals and for-profit enterprises are rare but are sometimes available through the federal, state, and local government. How much time do you need to prepare a proposal? We ask that new clients contact us a minimum of 4 weeks before the proposal deadline. For complex projects, such as applications for federal grants, we may need up to 8 weeks to prepare the proposal. We want to give each proposal the attention it requires to be as compelling and complete as possible. The time it takes to get a grant varies widely. After the proposal is submitted, it can take anywhere from about 2-12 months, depending on the foundation’s internal process. It is always best to apply for grants well in advance of when the money is needed. Fees for proposal writing vary depending on the complexity of the project. For example, updating an existing proposal for a new grant application would be less expensive than writing a new proposal from scratch. We offer both hourly and per-project fees, and our goal is to provide a high quality of service for a reasonable price. Please contact us for an estimate. Can you work on commission? No, we do not work on commission. We work for an hourly or per project rate, rather than a commission based on the amount of money that is awarded. How will you get to know our organization? We will meet with you, in person or by phone, to discuss your organization, its goals, needs, and success stories. We will read any prior proposals that relate to the project and any promotional materials you have. For more detailed proposals, we may visit your programs to get to know them better. Can you guarantee that we will be funded? Although we have a very high rate of success, no grant writer can guarantee that a proposal will be funded.